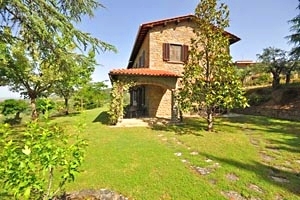 The beautiful villa is located in Valdichiana, on the hills south of Arezzo, the town of Etruscan origins renowned all over the world for the basilica of San Francesco, which houses the famous cycle of frescoes by Piero della Francesca "The Legend of the True Cross", the beautiful Gothic Duomo, Piazza Grande, which on the first Sunday of every month and the previous Saturday hosts an antique fair, and the Saracen Joust. 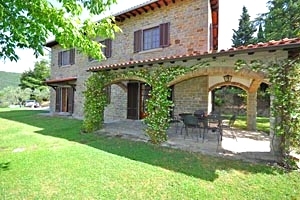 Arezzo has also been the set of various Italian TV movies and films, the most famous being "Life is Beautiful" by Roberto Benigni. 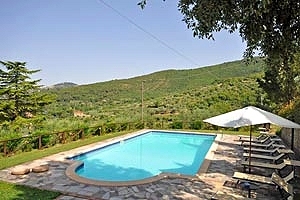 Situated a few dozen kilometres from Arezzo and Cortona, the villa enjoys wonderful vistas of the surrounding Valdichiana hills. 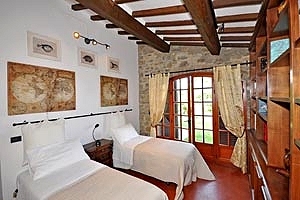 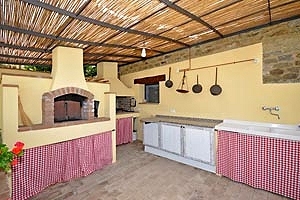 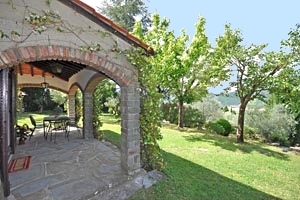 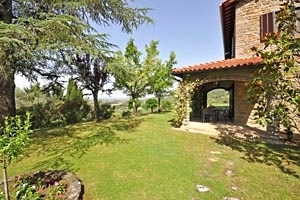 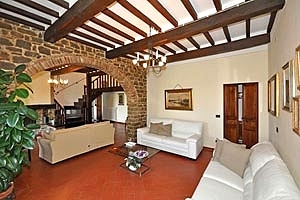 The property comprises a beautiful garden equipped with a picnic area, a wood-burning oven and a barbecue. 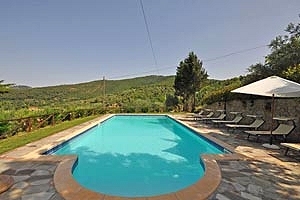 An external shower with warm water and a fridge are near the private swimming pool (12x6 m; depth: 1.10-2 m). 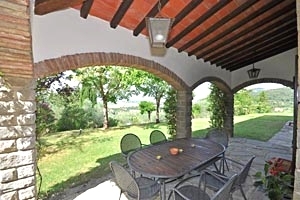 A pergola is furnished with table and chairs for having meals in the open air. 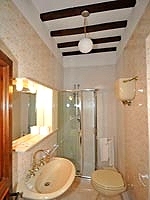 The laundry area with a sink and the washing machine and a table-tennis table are in a separate external room. 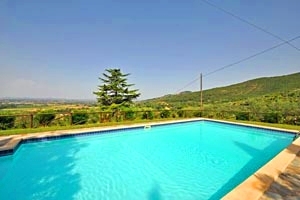 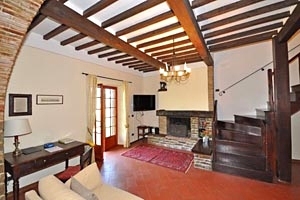 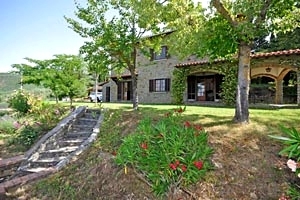 The villa is an excellent solution for having relaxing holidays in the peaceful Tuscan countryside at the border with Umbria. 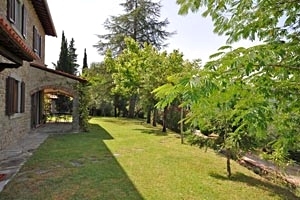 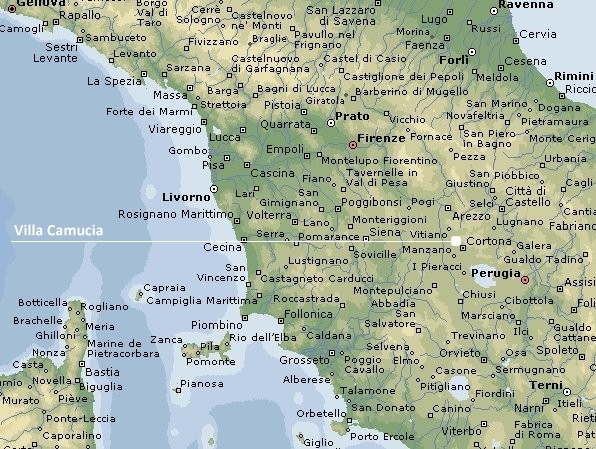 Arezzo, Cortona, Lake Trasimeno, Siena, Pienza, Florence, Anghiari and many other cities of art in central Italy are within easy driving distance. 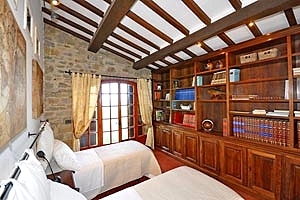 The two-storey building can accommodate 8 guests in 1 twin bedroom and 3 double bedrooms and has 3 bathrooms. 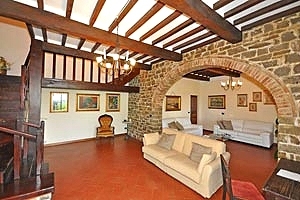 On the ground floor are the dining area with a kitchen corner, the living room with fireplace, a twin bedroom and a bathroom with shower. 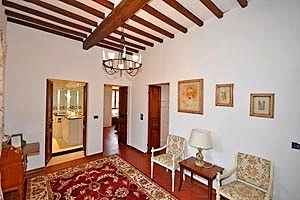 The first floor composes of three double bedrooms (one with a private bathroom with shower) and a bathroom with bathtub and shower. 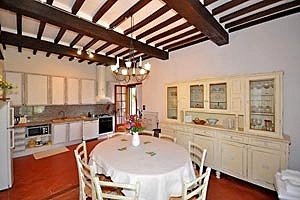 The dining area and the bedroom on the ground floor have a direct access to the garden. 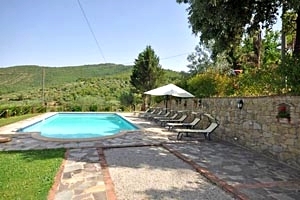 The villa comes with swimming pool, picnic area, wood-burning oven, barbecue, table-tennis table, air conditioning, fireplace, Internet connection, TV set, DVD player, stereo system with radio and CD player, oven, freezer, microwave oven, dishwasher, washing machine, cot bed and private car parking space. 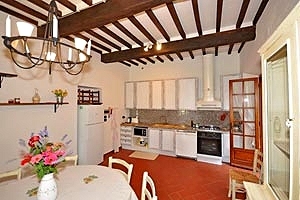 A food shop, a minimarket and a pizzeria are about 1 kilometre from the villa. 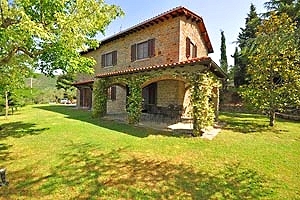 Other shops and services of any kind are 6 kilometres from the property.